Although carpets tend to be the most common choice of flooring when furnishing a property, it is widely underestimated how important it is to keep them maintained. Carpets are an expensive investment and regular cleaning ensures that they remain fresh, appear lustrous and, most importantly, that they will last longer. There are several reasons as to why Doctor Carpet has the ability to lengthen the life of your carpet. Over time, dirt and dust become embedded within the fibre and, despite whether or not it is overly noticeable, the primary issue is that the dirt is abrasive and will gradually erode the fabric of the carpet. We eliminate these corrosive substances and leave your carpets revitalized. On top of that, our professional carpet cleaning methods can actually help protect against future staining. The outcome is that your carpets are in a better condition for a longer length of time. In addition to these factors, having your carpets cleaned is actually beneficial for your health as it rids the fabric of the pollutants which have settled there and that, in consequence, circulate in the air after walking on the fabric. 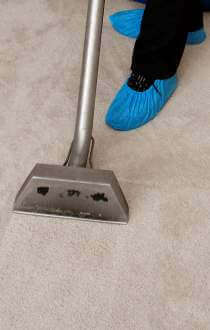 Therefore, Doctor Carpet can be instrumental in keeping you, as well as your carpets, healthier. If you’re looking for carpet cleaning in Manchester, Stockport, Preston, Liverpool or other areas of the North West, please don’t hesitate to call us for further information on how we can achieve the ultimate carpet cleaning for your carpets.